Ms Nurhikmah Ola Lairi,S.Pd, M.M., Ph.D is currently a Faculty member at International Business Binus University International Indonesia. Born in Bontorea Gowa Regency Makassar South Sulawesi Indonesia in 1972. Nurhikmah Ola Lairi was a scholar from Asian development Bank. She was awarded full sponsorship from Asian Development Bank for her Master Degree at Asian Institute of Management, Makati City Manila Philippine. Nurhikmah Ola Lairi was founded a new association for the AIM- Asian Development Bank called AIM-ADB students Association. She founded her own business in Indonesia in 2009 namely PT Hikmah Resources Indonesia. The company business are tours and tourism industry and international education networking. She had excellent international link and cooperation with China universities, Taiwan Universities and Japanese universities. Nurhikmah Ola Lairi, S.Pd,M.M.,Ph.D has been in business industry practice for 21 years. She worked in high level management in hotel industry, tourism industry, Multinational and international companies. She had experiences in Marketing Communication field and Director of Sales and Marketing in hotel industry and She had experiences as Regional in Multinational and international corporations. She decided to start up her business and became entrepreneur of tourism industry and education network. 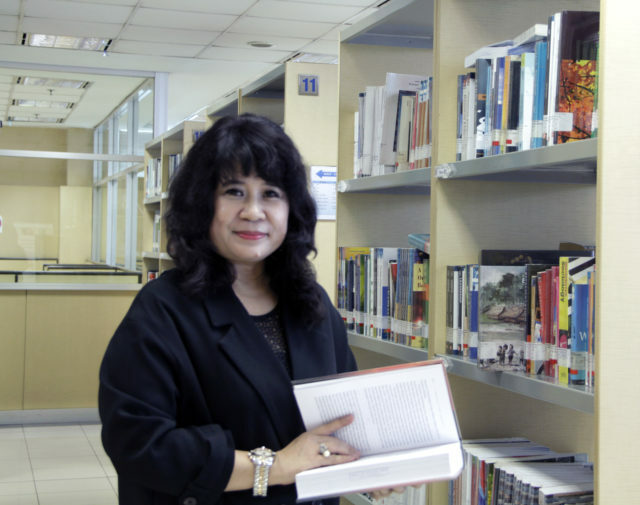 Before Joining Binus, Nurhikmah Ola Lairi,S.Pd, M.M.,Ph.D spent a decade in Taiwan as a Ph.D student and researcher at Chung Yuan Christian University. Her research and teaching interests relate to Tourism industry, hospital management, Foreign Direct Investment, export and import. Her works were published in Business Management Studies- USA, Japan International Conference at Waseda University Japan, and International Journal of Research and Commerce in Management with research on VAR Analysis of exports, Imports and Economic Growth in Indonesia. She is an expert in international business practice and she combined the excellent experiences in Management and Business for over 20 years into teaching activities. She did great job, business and education as well as research by excellent management time and target oriented. She accomplished her Ph.D in International Trade in Taiwan in 2017. Var Analysis of Exports, Imports and the Economic Growth: Evidence of Indonesia. Corporate Strategy of Hotel Industry in Bali. The effect of Changes in GDP and Interest Rate on Savings: Panel data Evidence on 6 Asean Countries. A Corporate Strategy of Hotel industry in Bali. Bilingual English Teachers’ Pragmatic Use of Discourse Markers + Negotiation for Meaning Strategies in the Context of Computer-Mediated Communication. The Oriental Chapter of COCOSDA (International Committee for the Coordination and Standardization of Speech Databases and Assessment Techniques)/ CASLRE (Conference on Asian Spoken Language Research and Evaluation) September 10-12, 2014 at Phuket Island, Thailand. 2008 : Chairman of Asian Development Bank Students Association – AIM ADB Association. Delivering the management courses, strategic management topics and research to the students.